Hi. 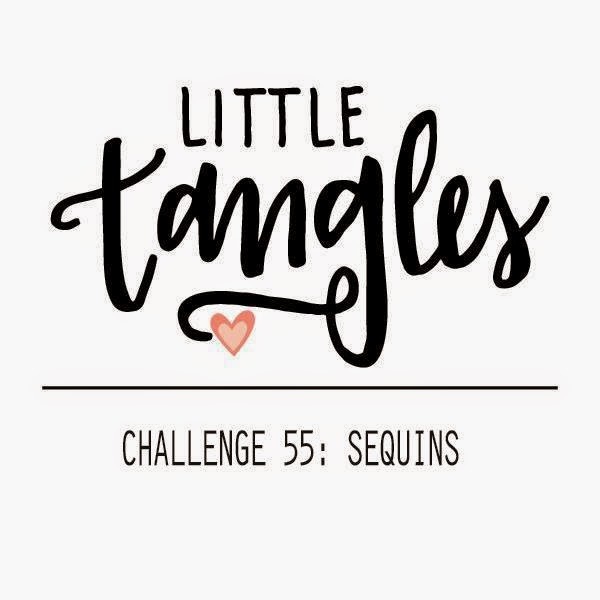 Thanks for stopping by to see my card for the Little Tangles Challenge - Sequins. 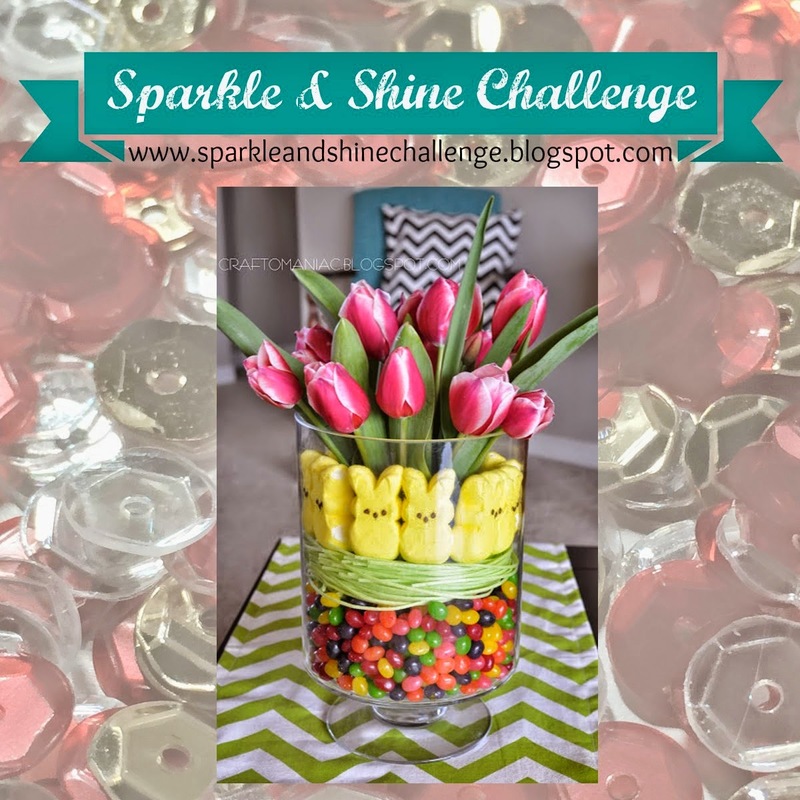 I love putting sequins on my cards, but this is only my second attempt at a shaker card. I like how it turned out even if I did make a few mistakes! I watercoloured a panel to start and stamped some sequins and hearts using some images from the Photo Booth and Winter Wishes sets onto it before heat embossing in gold. Now onto my first mistake lol, I should have used my powder tool on the inside edge of the card after putting the foam adhesive on the panel, as you can see by the photo the sequins stuck around the edges. I don't mind the look really but it's not much of a shaker card now! THEN I stuck the completed shaker panel upside down onto my card base! It wouldn't have mattered apart from the upside down hearts. I could have removed it but I would have ripped the card base and didn't want to waste my card stock. So apart from that I like how it turned out. 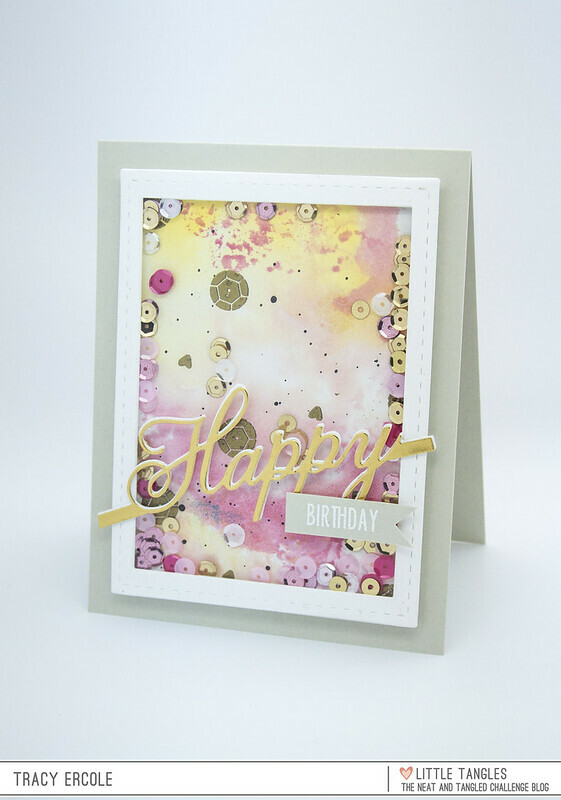 I am also going to put this card in the Simon Says Happy Birthday Challenge and the Sparkle & Shine Challenge as I was inspired by the colours in the picture. Your card is so beautiful! Love the touches of gold! Thanks for playing with us at Sparkle & Shine! Love your shaker card, Tracey! I love your watercoloring! Thanks for helping us celebrate our birthday at the Simon Says Stamp Wednesday challenge!